Why sleep on the ground, when you can get a good night’s sleep beneath the stars on a sleeping pad? Rent a sleeping pad for any camping or backpacking trip and sleep well. You don’t sleep on the ground at home, so why start no? If you are car camping, pair an integrated sleeping pad with a 15- to 30-degree sleeping bag rental for a complete sleep system designed to keep you from foregoing a much-needed night’s sleep. For backpacking trips, check out the much awarded Static V air pad rental. Sleeping pads are sanitized after each rental. 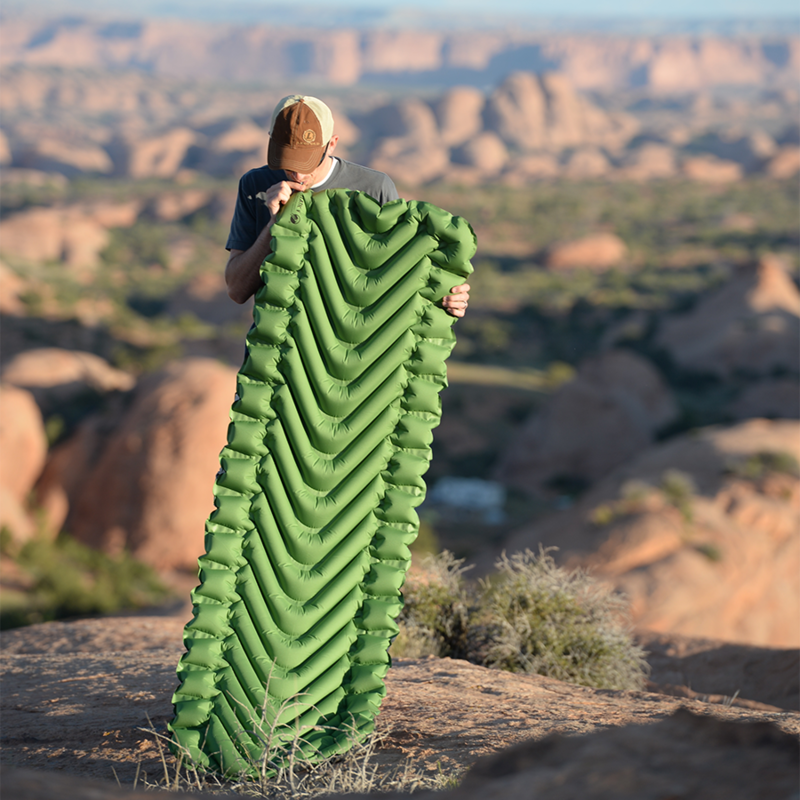 Rent this award-winning inflatable air pad by Klymit. Ideal for backpacking, it weighs in at only 18oz and packs up to a tiny 3”x8” yet provides 2.5” of ground clearance on a 72”x23” pad size. Specially developed V-shaped design delivers superior support and comfort no matter how you sleep – on your side, stomach or back. Side rails are integrated into the patterning and construction, and help to provide a secure, comfortable sleep by centering you on the pad and inhibiting air movement while tossing and turning. A secure and simple twist-pull valve allows for inflation in as few as 10 breaths, and opens wide for rapid, complete deflation. The mechanism creates a secure seal and helps prevent inadvertent opening. Note: This camping gear rental does not fit in Bag Agnes Sleeping Bag sleeves. Rent this award-winning compact and very lightweight Big Agnes air pad for your warm weather campouts. 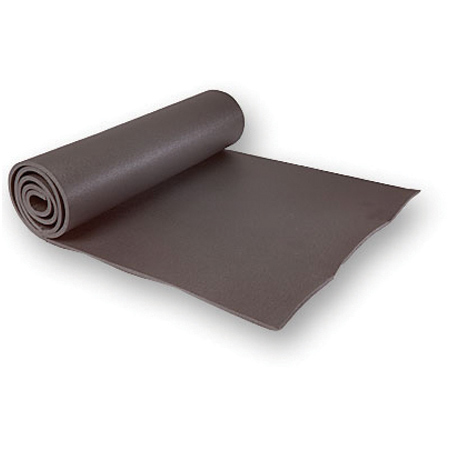 The air pad provides a smooth and stable sleeping surface, easy to inflate and simple to pack. Available in 72″ or 78″ sizes, the larger outer chambers of the pad keep you comfortably cradled in smack dab middle of the pad. A high-value valve allows for efficient and easy inflation and deflation. EZ-Flate Valve instructions: Twist black part of valve counter-clockwise to open. Blow into valve to inflate. Hold gray portion of valve in mouth while spinning black portion clockwise to close. Sleep well on this camping sleeping gear rental, available in 72″ or 78″ sizes, from Big Agnes. The insulated Air Core Pad is a light and compact insulated sleeping air pad for those spring, summer, and fall camping trips, or when you want a little more insulation between you and the ground. Insulation is 2.5″ of comfort. The pad is easy to inflate and will work with any sleeping bag. High-volume valve allows for quick inflation and rapid deflation. The Mt. Hood Foam Pad from Equinox is a general purpose, multi-use, closed cell foam pad is great for backpackers, gram geeks, hammocks and with cots. Add it to your sleeping gear for extra warmth by placing it between your air pad and sleeping bag for four season capabilities. Those renting one of our luxurious cots can place it on top of your cot to block out the cold air along your back. It makes a HUGE difference. A low cost, light weight rental that delivers huge benefits.